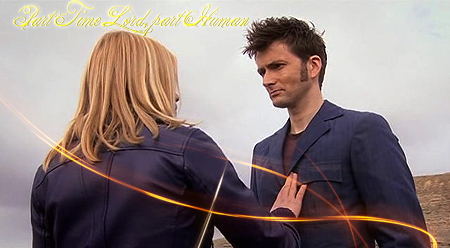 Part Time Lord, part human. . Wallpaper and background images in the The Doctor and Rose club tagged: the doctor rose tyler 10th doctor doctor who rose ten doctor metacrasis bad wolf bay journey's end.